In the event that your hearing aid stops working properly, or at all, don’t panic. This guide will talk you through some common problems which you can check for yourself and advise you when best to contact your hearing aid dispenser for repairs. If the sound produced by your hearing aid is weaker than usual, begin by checking that the volume is at the appropriate setting and has not accidentally been turned down. Once you have addressed this issue, check the receiver and microphone openings to ensure they have not been blocked by excess earwax or other debris. If you find any blockages, gently clean them away with the brush provided in your tool kit. If your hearing aid has tubing, ensure that it is connected securely and not bent or twisted. If you hearing aid is producing no sound at all, begin by making sure that your device is switched on. The next most common problem is the battery; check the battery for corrosion and make sure that it is correctly positioned with the positive sign facing upwards. If you have detected no problems during these checks, try changing the battery. Firstly, inspect your hearing aid’s tubing for moisture. Should you find any, gently remove the tubing and use pressurized air to clear it. Check your device settings; if the volume is turned up too high it could cause feedback, which presents as a high-pitched whistling sound. 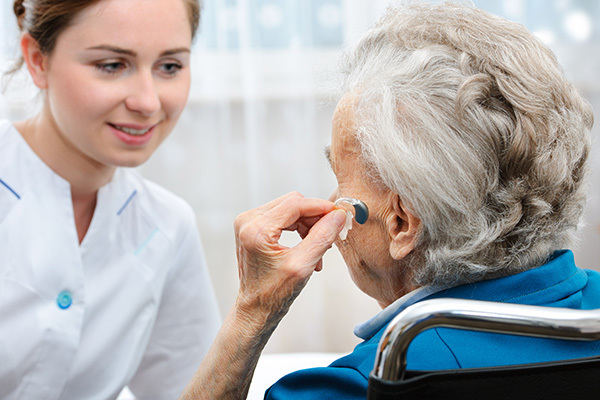 Next, be sure that your hearing aid is positioned correctly in your ear; sometimes sound distortion can be improved by gently pressing the ear mould further into the ear canal. Malfunctioning batteries can also cause various sound distortions so try replacing the battery with a new one. If you notice any cracks or holes in the tubing or elsewhere on your device, contact your hearing care provider immediately for repairs. Distorted or muffled sound can also be caused by a build-up of earwax in the ear canal, it may be worth contacting your hearing professional or general care practitioner to have your ears checked out. If none of the solutions outlined in this guide have solved your problem, it is time to get in touch with your hearing care provider, most professionals can carry out minor repairs in their office so it may not even be necessary to send your device back to the manufacturer. Malfunctions are always best caught early, so do not hesitate to call.